This article will brief you about the top tourist attraction in West Coast of New Zealand. It is a proper guide that you can read anytime and get information about the west coast tourist attractions, towns, cuisine & wine, experiences that the travellers can opt to do and so on. New Zealand is a blissful country blessed with abundant nature and stunning landscapes. Even if you explore one destination/city, you would see the whole of New Zealand right from its kiwi culture to traditions, Maori people's art & craft and so many other things. West Coast is one such place that needs to be visited by each and every traveller. It is also just called 'coast' by locals which becomes a place of paradise. It is a location that has everything ranging from beautiful rivers to lakes, glaciers to snow-capped peaks and also geological treasures. West Coast stretches 50kms wide down to the South Island where the town of Greymouth becomes the only largest town. And it has a population of only 31,000 people. If you need to travel the whole region of West Coast, then get your own transport. The reason why is because it is a long region and there's plenty of attractions to see. Recently, Lonely Planet voted 'the Great Coast Road' as one of the top 10 coastal drives which stretches from Westport to Greymouth. West Coast has plenty to offer for travellers and it won't disappoint you when it comes to tourism aspect. Franz Josef and Fox glaciers is a must-visit place if you're in West Coast. It consists of giant rivers that have been turned into ice. Also, consider the famous pancake rocks and blowholes at Punakaiki which turns out to be the best attraction here in this region. 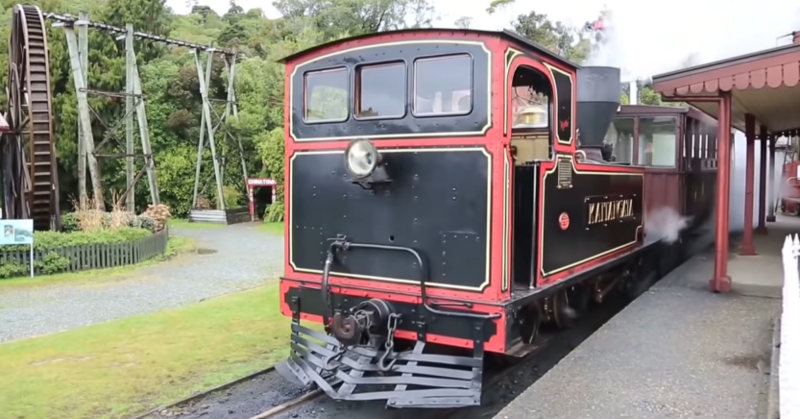 'Denniston Experience' which is 45mins drive away from Punakaiki will give you an adventurous ride down under a coal mine which has its own history. Get fascinated by its amazing history during your journey. Oparara Basin – Oparara Basin is located in the Kahurangi National Park. This place is entirely filled with lush greenery, dense forests and bushes. To know more about this place, hire a local tour guide that will guide you throughout the journey. The local guide of The Oparara Experience will make sure that you travel to the fullest. This unspoilt, untouched place is a complete paradise for ecology lovers. Enjoy caving here if you wish to do so. 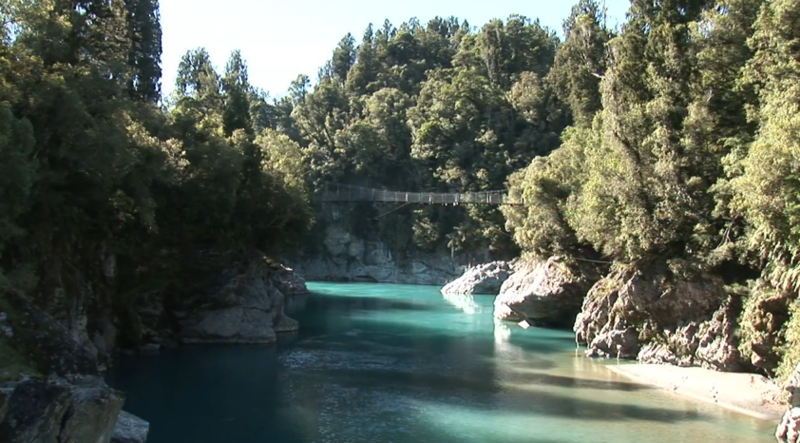 Hokitika Gorge – The turquoise water of Hokitika Gorge will leave you stunned by its beauty. You should definitely stop by at this glacial river to see the running crystal water. There's a bridge across the river where a short walk can give you upstream views of Hokitika River. You can spend entire day over here and all the facilities will be provided to you if you hire a tour guide. The local tour guide will make you travel to Side Track Tours, Weka Tours and Hokitika Scenic Tours. Shantytown Heritage Park - Shantytown Heritage Park is considered to be a gold rush town that was recreated in the year 1900. This town will make you travel back to history to experience some of the best places. Shantytown can be visited within a day where you can visit 30 shops and heritage buildings that are still well-maintained. You can also opt to ride on the Steam train that will take you on a journey to native rainforest, dense forests and steams. Charleston Glowworm Caves – West Coast has its own characteristics and they are just splendid to watch. Charleston Glowworm Caves is the best example formed and blessed by nature itself. 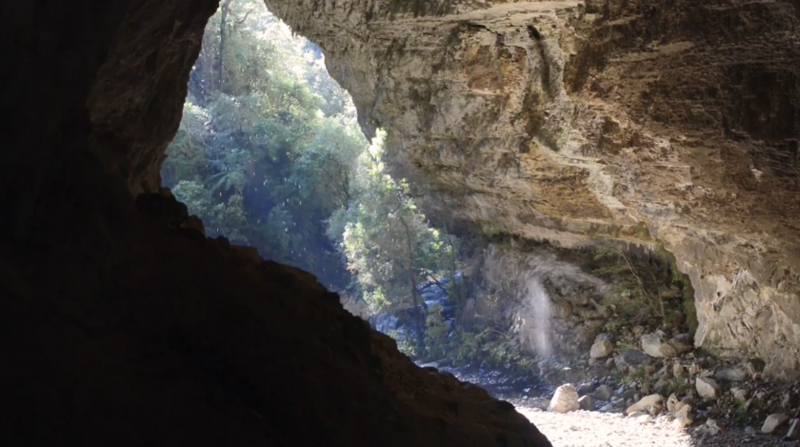 This cave tour is functioned and operated by Underworld Adventures that provides an opportunity to explore this cave at the fullest and to experience the glowworms inhabitants. 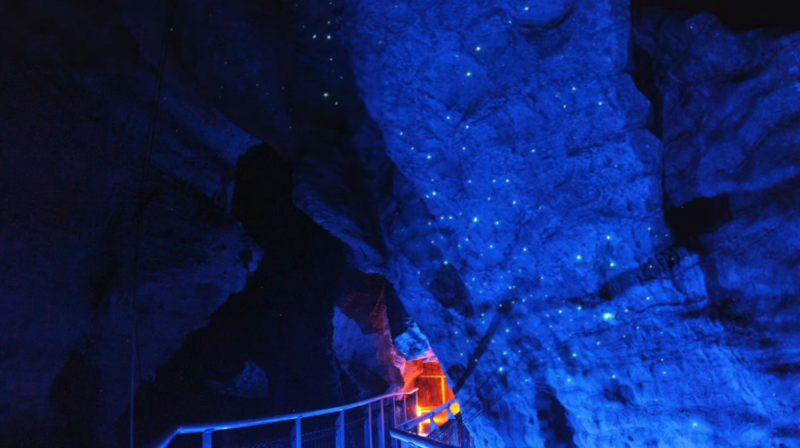 Travellers from all around the world come here to visit and to see twinkling glowworms. Greymouth – Greymouth is the largest town in the West Coast that stretches down to the South Island. It is a famous town with a well-known unique history of jade hunting, gold mines & river floods. The local museum & Shantytown will give you brief description about the history of gold mining. New Zealand's legendary brewery that is Monteith's is a must visit brewery in the town. There are a number of galleries in this town that specialises in pounamu (New Zealand jade). It is a worth-visit which you should definitely think of considering. Also, there are plenty of activities that you can do here in Greymouth ranging from canoeing, kayaking, rafting, sea fishing and caving. Greymouth won't let you down when it comes to the entertainment part. It has pubs & clubs where you can enjoy. The Point Elizabeth Walk is the easiest track that gives you access to enter the forest & gold mining sites. Franz Josef Glacier Franz Josef is considered to be a World Heritage Site where travellers all around the world often visit. Julius von Haast was a geologist who explored Franz Josef for the first time in 1865. Franz Josef is just 5kms away from the town of the same name and you can reach the main of its terminal face by a 20min walk. There are various options if you want to connect with glacier. You can hire an expert tour guide who will guide you to the lookout points where you will get some spectacular views or you can heli-hike the whole of Franz Josef. If you want the aerial view of this site, aerial sightseeing is possible too. This location is blessed with abundant nature of rainforests, gushing waterfalls & lakes. You can also opt to go to Lake Mapourika for kayaking and other water-sport activities. Fox Glacier– If you're ready for thrill and adventure ride, then jump in into this world of glaciers where the views are just spectacular. The long walks, hikes and trails are easy & hard too depending on which route you're taking. Fox Glacier is located at the foothills of Southern Alps where the name of the town is named after New Zealand's Prime Minister Sir William Fox. This glacier town is like a twin to Franz Josef, almost same in terms of all characteristics. If you have to see the glacier, you have to walk up to the terminal face or can also opt to book sightseeing flight. Leaving the glacier aside, we also have glowworm caves little bit away from the town. Do visit this cave and get stunned by its beauty. Lake Matheson is considered to be the most photographed lakes here in New Zealand. It is just beautiful and the mountain scenery behind it is just stunning. You don't have to worry about the accommodation factor when you're in Fox Glacier. This town provides the best lodges, retreats and homes to comfort your stay. Also, there are many eatery shops & stalls which you can explore anytime.